Assante Wealth Management (Canada) Ltd. offers a variety of financial and life management products and services through its various operating subsidiaries. References to "Assante" or "we" may refer either to Assante Wealth Management (Canada) Ltd. or to its operating subsidiaries. By accessing this web site, you agree to be bound by and accept the following terms. The contents of this web site are provided for information purposes only and are not intended to provide you with specific advice with respect to your financial, investment, tax, legal or accounting matters. For information specific to your situation you should consult your advisor or other appropriate investment, legal or accounting professionals. Information provided on this web site is believed to be reliable when posted. Assante Wealth Management (Canada) Ltd. (together with its dealer subsidiaries herein collectively referred to as “Assante”) cannot guarantee its accuracy and information may change without prior notice. Assante or any of its related corporations or affiliates is not responsible in any manner for direct, indirect, special or consequential damages however caused, arising out of the use of this web site. AFM is a member of the Mutual Fund Dealers Association of Canada (“MFDA”). The MFDA is the national self-regulatory organization (“SRO”) for the distribution side of the Canadian mutual fund industry. To learn more about the MFDA please visit http://www.mfda.ca. AFM advisors are currently licensed to sell mutual funds, guaranteed investment certificates (“GICs”) and government bonds. Your advisor may also offer insurance related products, such as segregated funds, through AFM, Assante Estate and Insurance Services Inc. (AEIS) or via a Managing General Agency (MGA). The advisor is required to be duly registered to do so under applicable insurance legislation and the dealer approves such activity to be conducted outside of the dealer. ACM is a member of the Investment Industry Regulatory Organization of Canada (“IIROC”). IIROC is the national self-regulatory organization which oversees all investment dealers and trading activity on debt and equity marketplaces in Canada. To learn more about IIROC please visit http://www.iiroc.ca. To research the background, qualifications and disciplinary information on advisors at IIROC-regulated firms please generate an IIROC AdvisorReport. ACM advisors are licensed to sell equity securities, bonds, mutual funds, GICs and other securities that are subject to available regulatory exemptions. Your advisor may also offer insurance related products, such as segregated funds, provided that they are duly registered to do so under applicable insurance legislation and the dealer approves such activity to be conducted outside of the dealer. Both AFM and ACM are subject to the oversight of the provincial securities commissions and are required to adhere to regulations governing investor protection, fiduciary responsibilities and stringent recordkeeping. These requirements are monitored by the MFDA and IIROC, respectively, through independent audits conducted regularly by external auditors and by examiners or the regulators. Both AFM and ACM are members of industry investor protection plans, as outlined below. The investor protection plans reimburse investors for assets held through the Member in an account for the customer, within predefined limits, if their dealer becomes insolvent or bankrupt and their assets are missing as a result. There are no fees charged to you for AFM or ACM participation in the industry investor protection plans. AFM is a member of the MFDA Investor Protection Corporation (“IPC”). To learn more about IPC, please contact your advisor or visit the MFDA's website at http://mfda.ca/mfda-investor-protection-corporation. ACM is a member of the Canadian Investor Protection Fund (“CIPF”). To learn more about CIPF, please contact your advisor or visit http://www.cipf.ca. In Quebec, Assante Capital Management Ltd. and Assante Financial Management Ltd. are registered with the Authorité des marchés financiers (AMF), the organization mandated by the provincial government to regulate securities and mutual fund dealers in Quebec. Our representatives and dealer entities are subject to provincial securities rules and regulations. To learn more about the AMF, please contact your advisor or visit the AMF website at https://lautorite.qc.ca/en. Additional details about investor safeguards in place at Assante are outlined in our document How Assante Protects Your Assets. Certain products and services may not be available through all offices. Products and services may only be sold through companies and individuals licensed to sell the product in jurisdictions in which the product is qualified for sale. This web site does not constitute an offer or solicitation to buy or sell any product or service to anyone in the United States of America, its territories or possessions or in any jurisdiction in which an offer or solicitation is not authorized or cannot legally be made or to any person to whom it is unlawful to make an offer or solicitation. For information specific to your jurisdiction, please contact your nearest Assante office. The terms and conditions under which products and services may differ from those set out on this web site and may change from time to time. Products and services are provided only in accordance with the terms of the specific investment contract, prospectus or other documents or contracts governing their sale. In case of any inconsistency between the content of this web site and any such investment contract, prospectus or other document or contract the terms of the investment contract, prospectus or other document or contract shall prevail. While every effort is made to keep the contents of this web site current, you should check with your Assante advisor to determine whether changes have been made to the terms and conditions under which Assante products and services are offered that are not reflected on this web site. Commissions, trailing commissions, management fees and expenses all may be associated with mutual fund investments. Please read the prospectus before investing. Unless otherwise indicated and except for returns for periods less than one year, the indicated rates of return are the historical annual compounded total returns including changes in security value. All performance data assume reinvestment of all distributions or dividends and do not take into account sales, redemption, distribution or optional charges or income taxes payable by any security holder that would have reduced returns. Mutual funds are not guaranteed, their values change frequently and past performance may not be repeated. Mutual fund securities are not covered by the Canada Deposit Insurance Corporation or by any other government deposit insurer. There can be no assurances that the United Cash Management Pool nor the Artisan Canadian T-Bill Portfolio will be able to maintain their net asset value per security at a constant amount or that the full amount of your investment in these funds will be returned to you. Evolution Private Managed Accounts are managed by CI Investments Inc. under the United Financial brand and are available exclusively through your Assante advisor. Optima Strategy is managed by CI Investments Inc. under the United Financial brand and is available exclusively through your Assante advisor. If you are a Canadian resident, you can obtain the applicable simplified prospectus for each mutual fund from your financial advisor or for funds offered by our sister company, CI Investments, including United Financial branded Solutions by calling 416-644-5650 or (Toll-free) 1-866-644-5650. Assante is an indirect, wholly-owned subsidiary of CI Financial Corp. (“CI”). The principal business of CI is the management, marketing, distribution and administration of mutual funds, segregated funds and other fee-earning investment products for Canadian investors through its wholly-owned subsidiary CI Investments Inc. If you invest in CI products, CI will, through its ownership of subsidiaries, earn ongoing asset management fees in accordance with applicable prospectus or other offering documents. Assante Private Client is a division of CI Private Counsel LP (“CIPC”). 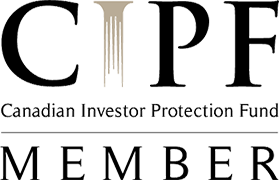 CIPC is a wholly owned subsidiary of CI Financial Corporation, and provides portfolio management services as a registered advisor under applicable securities legislation. For a complete list of CIPC's related and connected companies, see CIPC's Statement of Policies. For a complete list of CI's related and connected companies, see CI's Statement of Policies. This site should not be considered an offer to sell or a solicitation to buy securities of mutual funds to any person residing in the United States of America or in any jurisdiction in which such an offer or solicitation is unlawful. Securities of the mutual funds managed by CI Investments Inc. will not be sold to any person residing outside Canada unless such sales are permitted under the law of their jurisdiction. Investors should consult with a financial advisor for further details. The distribution of the United pools and the offering or purchase of the units may be restricted in certain jurisdictions outside of Canada. No persons receiving a copy of a prospectus from this site in any such jurisdiction may treat a prospectus as an invitation to purchase units unless such an invitation could be lawfully made to them in compliance with any registration or other legal requirements. A prospectus obtained from this site is not an offer or solicitation by anyone in any jurisdiction where such offer or solicitation is unlawful or in which the person making such offer or solicitation is not qualified to do so or to anyone to whom it is unlawful to make such an offer or solicitation. It is the responsibility of any persons in the possession of a prospectus from this site and any persons wishing to apply for units pursuant to a prospectus, to inform themselves of, and to observe, all applicable laws and regulations of any relevant jurisdiction. Prospective purchasers of units should inform themselves as to the legal requirements of such purchases and any applicable exchange control regulations and taxes in the countries of their respective citizenship, residence, incorporation or domicile. Neither the United pools nor the manager shall have any obligation to make any filings or do any acts in order to permit such offerings in any jurisdiction and shall be entitled to require evidence that an offering to the investor in such jurisdiction is in compliance with the local laws. The units have not been and will not be registered for sale under U.S. securities laws and may not be offered or sold directly or indirectly in the United States or to any U.S. person (including any citizen or resident of the United States, any partnership or corporation organized or incorporated under the laws of the United States and certain estates and trusts organized under U.S. laws. This website may contain forward-looking statements which reflect our current expectations or forecasts of future events. Forward-looking statements include statements that are predictive in nature, depend upon or refer to future events or conditions, or include words such as “expects”, “anticipates”, “intends”, “plans”, “believes”, “estimates”, “preliminary”, “typical”, and other similar expressions. In addition, these statements may relate to future corporate actions, future financial performance of a fund or a security and their future investment strategies and prospects. Forward-looking statements are inherently subject to, among other things, risks, uncertainties and assumptions which could cause actual events, results, performance or prospects to differ materially from those expressed in, or implied by, these forward-looking statements. These risks, uncertainties and assumptions include, without limitation, general economic, political and market factors in North America and internationally, interest and foreign exchange rates, the volatility of global equity and capital markets, business competition, technological change, changes in government regulations, changes in tax laws, unexpected judicial or regulatory proceedings, catastrophic events and the ability of CI to attract or retain key employees. The foregoing list of important risks, uncertainties and assumptions is not exhaustive. Please consider these and other factors carefully and not place undue reliance on forward-looking statements. Calculations or projections are for general illustrative purposes only and are not guaranteed to be accurate or complete. Please use them only as guides or estimates. Trademarks and Copyrights - Certain names, words, phrases, graphics or designs in this web site may constitute trade names, registered or unregistered trade-marks or service marks (collectively, "Trademarks") of CI Investments Inc. or its affiliates or third parties. The Assante symbol, Assante Wealth Management, Be well-advised, United Financial, Artisan, Institutional Managed Portfolios, Optima, Evolution Private Managed Accounts are trade-marks of CI Investments Inc. or its affiliates used under licence. The display of Trade-Marks in this web site does not imply any licenses have been granted to any third party. Users of this web site shall be entitled to copy any information from this web site for their own personal use provided that it is not modified and that all copyright and other notices contained in this web site are maintained. Users of this web site may not otherwise use, reproduce, broadcast, publish or re-disseminate any information, in whole or in part, without the prior written permission of Assante. Any unauthorized downloading, re-transmission, or other copying or modification of these Trademarks or of the contents of this web site may be a violation of law that may and could subject you to legal action. Links to other web sites are for convenience only, are independent from Assante and therefore Assante has no control over the content of a linked web site. Assante will not be liable for any inaccuracies in such information or for the content of any linked web sites that are not maintained by Assante nor does Assante endorse any product or service available through a linked web site. Assante makes no claims that third party web sites will be free of viruses, worms, Trojan horses or other destructive components on or from such web sites. Linking to another web site is at your sole risk and Assante is not responsible or liable for any damages in connection with linking. The United Pools (each, a "Pool" and collectively, the "Pools") have received permission from the Canadian securities regulators to invest in securities of CI Financial Corp. and other Related Companies (each a "Related Company"). In connection with such investments, CI Investments Inc. ("CI") has established an independent review committee ("IRC"). Each member of the IRC is independent of CI in that none has a direct or indirect relationship with the funds, CI or any entity related to CI that a reasonable person would consider might interfere with the exercise of the member's independent judgment regarding conflicts of interest facing the manager of the funds. The purpose of the IRC is to review at least every calendar quarter the decisions made on behalf of each fund to purchase, sell or continue to hold securities of a Related Company and to form an opinion whether such decisions were, and continue to be, in the best interest of the fund and: (a) represent the business judgment of the fund's portfolio advisor, uninfluenced by considerations other than the best interests of the fund, (b) have been made free from any influence by a Related Company and without taking into account any consideration relevant to a Related Company, and (c) do not otherwise exceed the limitations of applicable law. The IRC will advise the Canadian securities regulators if the IRC determines that any investment does not meet the criteria described above, or if any other condition of the permission to make such investments has not been satisfied, together with any action that the IRC or the fund's portfolio advisor has taken or proposes to take following such a determination. In carrying out their responsibilities, the members of the IRC will exercise their powers and discharge their duties honestly, in good faith and in the best interests of the funds and, in so doing, will exercise the degree of care, diligence and skill that a reasonably prudent person would exercise in the circumstances. All members of the IRC currently are members of the Board of Governors of the funds and, as such, are paid a fixed annual fee which is allocated to all public mutual funds under CI's management (generally pro rata based upon their relative net asset values). There is no intention to pay the members of the IRC any compensation in addition to their usual compensation as members of the Board of Governors. For more information about the IRC, please read the simplified prospectus of the applicable fund. This web site will be governed by and construed in accordance with the laws of the Province of Ontario and the laws of Canada applicable therein, without giving effect to any principles of conflicts of laws. All disputes, controversies or claims arising out of or in connection with the web site shall be submitted to and be subject to the jurisdiction of the courts of the Province of Ontario. You submit and attorn to the exclusive jurisdiction of the courts of the Province of Ontario to finally adjudicate or determine any suit, action or proceeding arising out of or in connection with the website. Assante provides a written summary of our complaint handling procedures to new clients at account opening. Assante has an obligation to review all client complaints. Upon receipt of a complaint, our firm first determines the nature of the complaint. Once determined, we review the details with those persons party to the event/transaction that gave rise to the complaint. Where necessary, our review may include additional contact with the individual(s) who initiated the complaint. Upon completion of our review, we provide a summary of the complaint, results of our investigation, an explanation of our final decision and an outline of other options for seeking compensation available to the client, if the client is not satisfied with the firm's response. Our firm will provide a final decision with respect to a complaint within 90 days or an interim response, with an explanation for the delay and the expected new response time. Securities rules and regulations govern the processes by which Assante shall review and respond to client complaints. For further information, please contact our Designated Complaints Officer, who is our Manager, Complaints & Regulatory Inquiries addressed to complaints@assante.com.